NASCO represents a full line of material handling equipment. 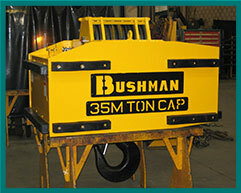 One particular product line is vertical lifting devices. 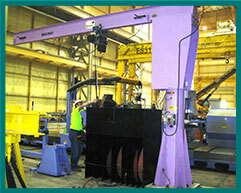 All vertical lifting equipment is designed to provide rugged service and safety while requiring minimal maintenance. Incorporating our products into your manufacturing process improves plant efficiency, productivity, safety and profitability. Whether it is a below the hook, or on the shop floor application, NASCO offers an array of devices that: Invert, Rotate, Transport, Redirect, Pivot, Tilt, and Grab. Your product, shape, size, weight, or material is not an issue or obstacle, to us – it s an opportunity. 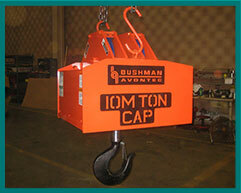 Our lifting devices are not limited by our catalog offering. We welcome a challenge and will personally inspect, analyze, engineer and design a device for your most difficult applications. Bushmans/Avontecs ReNEW program is unique to the industry. 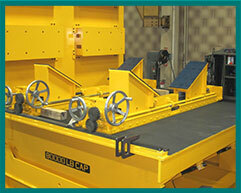 We offer excellence in repair and remanufactuing of our systems and competitors. Within days of your products arrival, technicians will inspect and provide a detailed report including pictures recommendations and a firm price. We not only provide repairs, but upgrade and modify your product to better withstand recurring problems. Whether you require a new device or repair an existing one, NASCOs industry experience, and product knowledge in helping can help you select the correct solution for your facility.